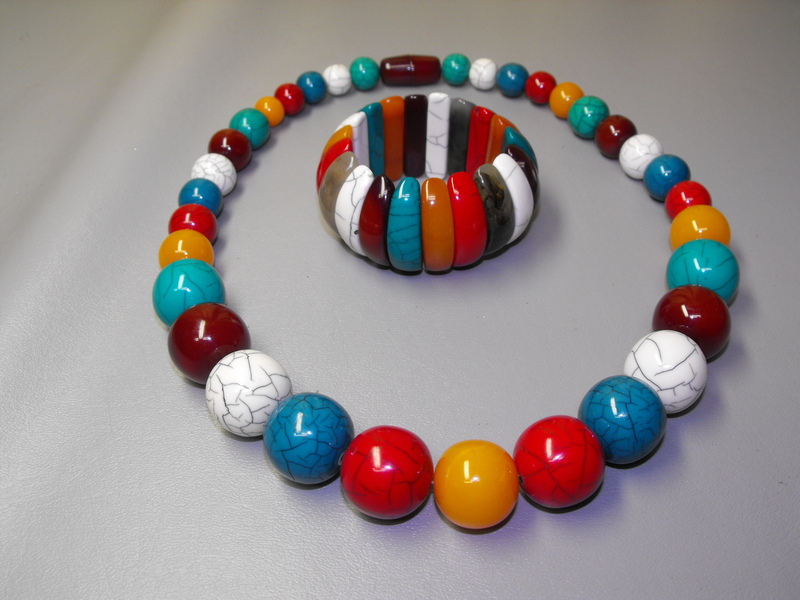 We can safely say that this combo necklace & bracelet will go with any color you are wearing. 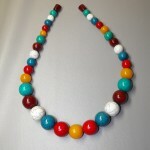 This sure fire Spring & Summer set reminds us of bubble gum, but in this case a graduated set of acrylic multi colored balls all connected to a barrel & screw clasp. 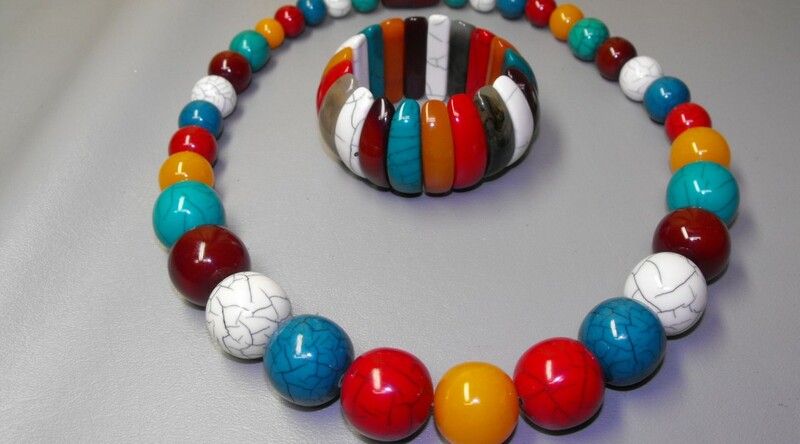 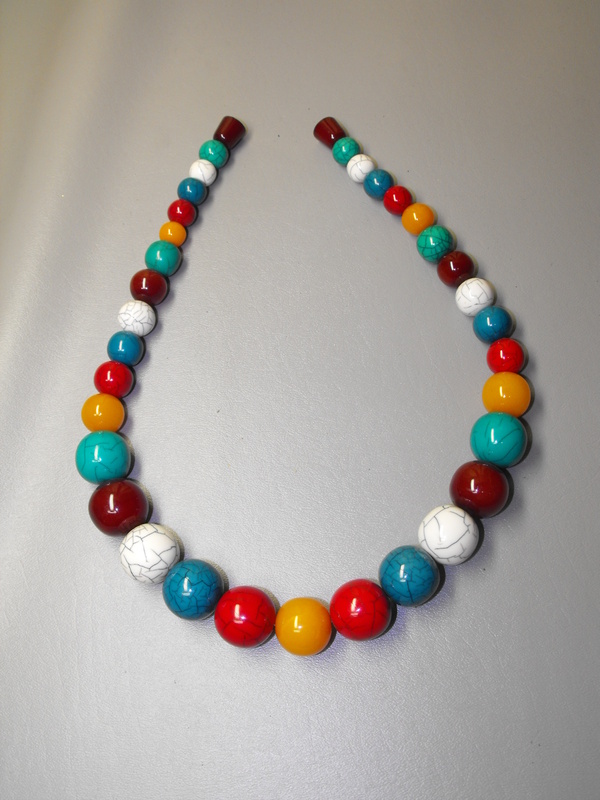 The necklace measures about 10″ in length. 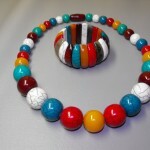 The stretch bracelet consists of curved, multi color, acrylic shanks. 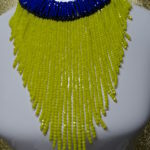 Spring and Summer are all about bright vivid colors…….make a bright color statement.